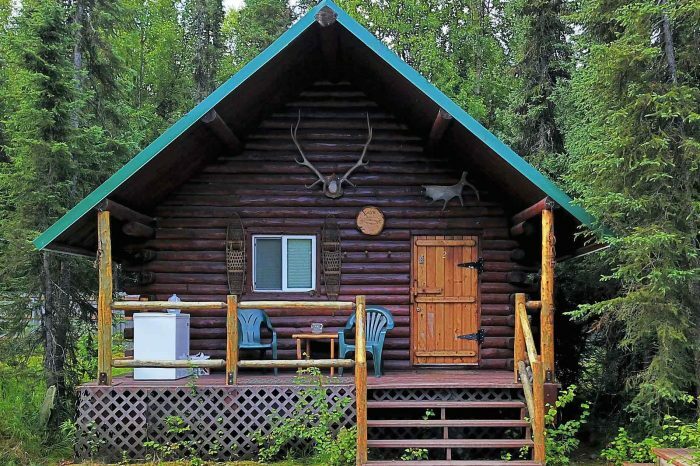 The newest addition to Foster’s Alaska Cabins, the Ahi Cabin was built by friends of Foster’s from Kauai and transports its guests to a tropical island oasis with its Hawaiian theme. 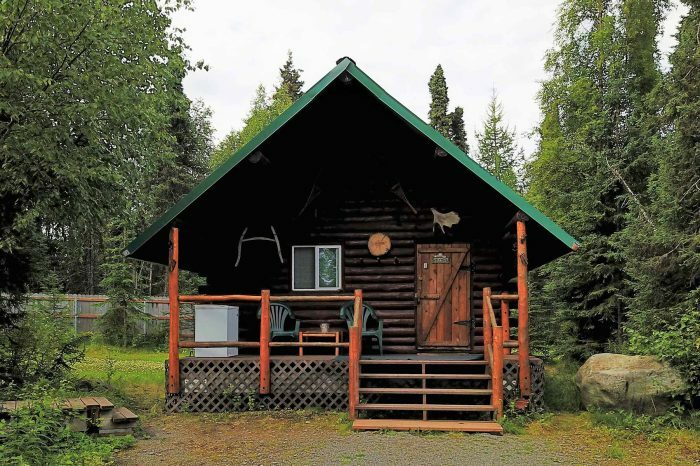 The Ahi Cabin sleeps five guests, four comfortably, and includes kitchenette including a refrigerator, coffee maker, hot plate and toaster. Out front guests can enjoy a private, five-foot covered porch and a barbeque grill. 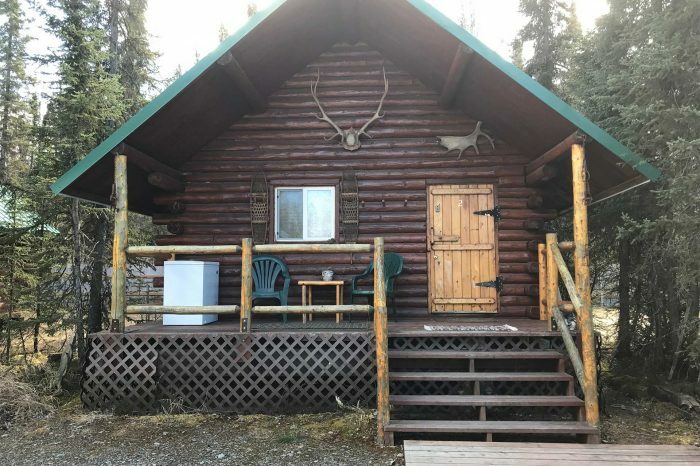 Ahi Cabin is available for selected dates.